The new Sail Newport Albury 27' boat is "Fightin Lady" Yellow with a Pettit Vivid White bottom paint. NEWPORT, RI (June 15, 2016) - To better serve the boating public through Sail Newport, Albury Brothers Boats has built a new 27 foot powerboat to perform race management duties for the non-profit organization.This flush deck 27 was delivered to Sail Newport in Fort Adams State Park on Memorial Day weekend. She will be in continuous use performing race committee duties, as well as supporting on-the-water judges and mark setting work during regattas. Jeff Lichterman, president of Albury Brothers said, "We are excited and pleased to have this opportunity. 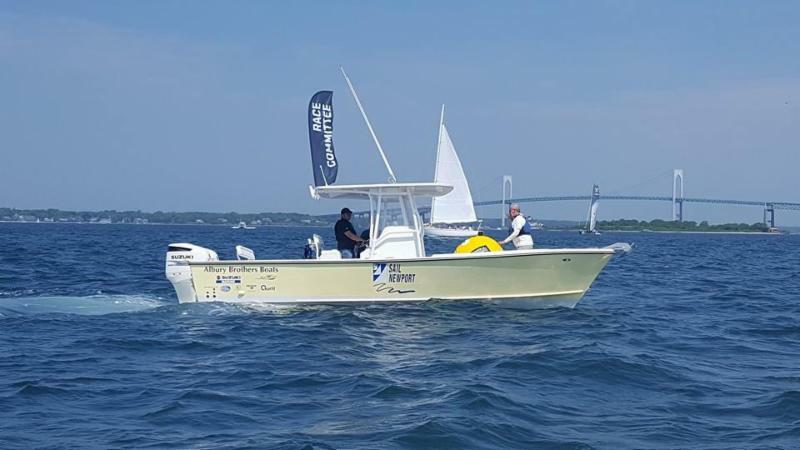 Sail Newport provides a incredible program and 27 can lend support and improve overall quality of the on-the-water race, and program management." The new boat was built by Albury Brothers in West Palm Beach and incorporates Corecell structural foam donated by Gurit Corporation. She is powered by a pair of white Suzuki 250 h.p. outboards, loaned to Sail Newport by Suzuki Motor of America, Inc. Lewmar generously donated her windlass, anchor/chain/rode, and anchor chute. LED lighting was donated by Lumitec. The EZ2CY enclosure was loaned and installed by Canvas Designers of Riviera Beach. Pettit provided the epoxy barrier coat and Vivid White anti-fouling paint to compliment her Fightin' Lady Yellow color scheme. Brad Read, executive director of Sail Newport said, "This is an incredibly generous gesture by our marine partners and sponsors. The boat will be used for our community sailing programs, events, and many regattas. 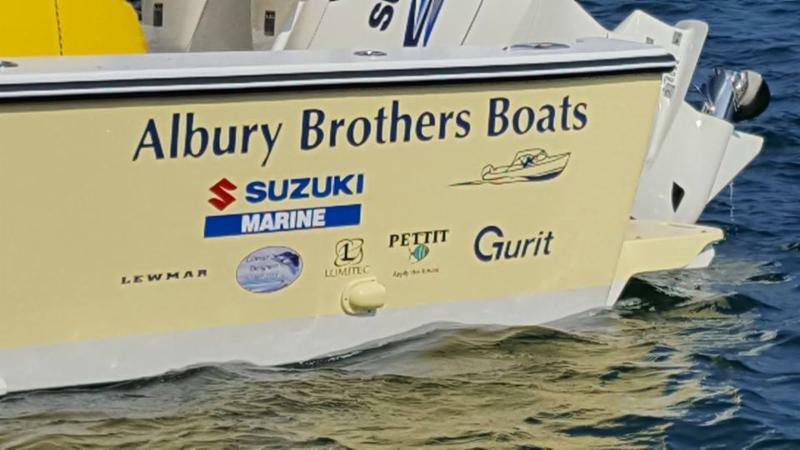 We are grateful for the support of Albury Brothers Boats and their supplier partners. It's not often when a sponsor drives a brand new boat up on a trailer and leaves it with us." Sail Newport is a non-profit, educational, sailing organization. Located at Fort Adam's State Park, Sail Newport is Rhode Island's public sailing center. The organization offers a wide variety of sailing programs on all skill levels for ages 5 and older. Sail Newport is also host of many local, regional, national and world-class regattas. Albury Brothers builds sea-kindly center console outboard boats ranging from 18.5 to 33 feet. These limited production, semi-custom boats are built in Man O' War, Bahamas and West Palm/Riviera Beach, Florida. Albury Brothers recently opened a seasonal office at Newport Shipyard and Marina.